Neuropsychiatric disorders are the #1 disorders among all human dysfunctions on our planet today. 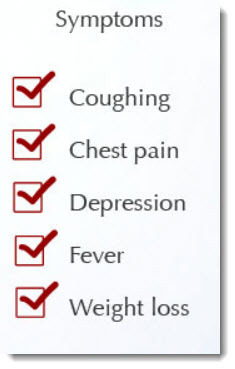 There are many other chronic illnesses that plague human kind today. In other words, any abnormality in any of the above could be - and often is - due to an imbalance or improper functioning brain function. 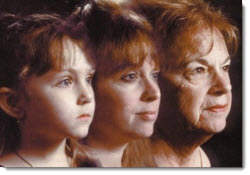 It is true - with age brain function declines. This truth is ultimately not avoidable. How Much Do YOU contribute to premature brain aging through the life style choices you have made in the past and continue to make. 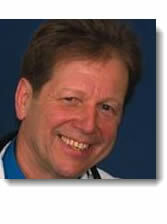 Contemporary Western Medicine is pretty much symptom oriented and relies heavily on pharmacology to suppress symptoms. There seems to be a pharmaceutical substance to "cure" just about anything. The problem lies in the fine print, the many side effects, some of them quite dangerous. Your typical medical health care practitioner will hardly ever relate your illness and your symptoms to your lifestyle choices. Your illness is most ALWAYS due to a lack of medications. Lack of movement or exercise, sitting for hours in front of the TV set or computer, coupled with copious amounts of junk food, sugar and carbohydrates, lack of adequate dietary protein and essential fatty acids, all this could not possibly contribute to your illness. "The true reason" for your ill health is most always a lack of pharmaceutical medications. Heartburn is simply due to lack of the "purple pill". It could not possibly have anything to do with the foods you eat, your weight, the health of your digestive tract, your health history, your history of antibiotic use, or the state of your brain health. High blood pressure is simply due to the fact that you are old, getting old, or better yet, due to the fact that you do not consume enough blood pressure medication. It could not possibly be related to lack of physical movement under gravity, exercise, the kinds of foods you eat, and to an imbalance or decrease in brain function. 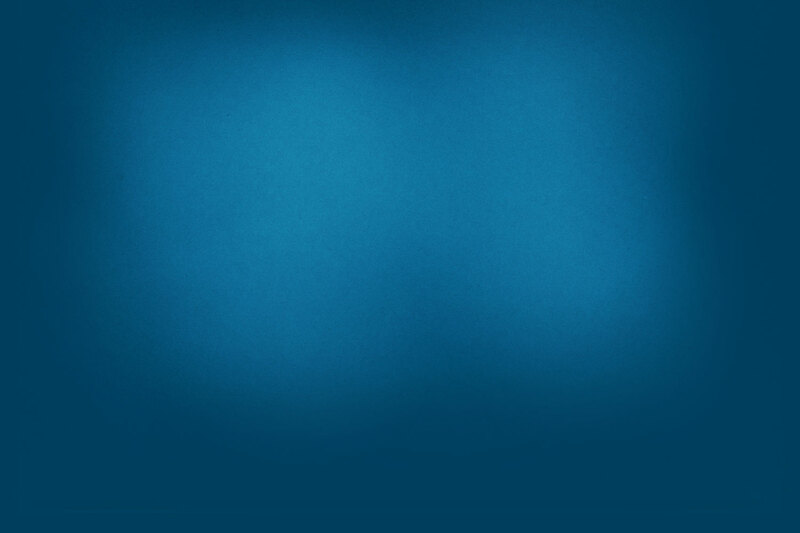 Depression, anxiety, manic-depressive disorders, ADD, ADHD ... we do not really know why they occur. The drug companies seem to have the right idea: It must have something to do with the brain. Oh, yes! God made a mistake: He failed to put enough Prozac into your breakfast cereal. But we can correct this easily! Have you ever read the potential side effects of the currently so popular anti-depressants? And then there is Ritalin - a chemical relative to amphetamines. Cautious people call this "brain stimulant". Others call this "Speed". I was under the impression that we decided that amphetamines were not such a good idea for grown-ups. We actually put those in jail who make it or consume it. But amphetamines in the form of Ritalin are probably OK for our children and teenagers. Their developing brains can handle "Speed" better; it is actually good for them. Again, please note that some of my above comments are meant to be sarcastic. Fibromyalgia means that your muscles hurt. Muscles in Fibromyalgia patients tend to be tender to touch. They often feel tight. Current research indicates clearly that in most cases there is nothing wrong with the muscle tissues. There is no evidence of chronic inflammation of the muscles. The question becomes: why do the muscles hurt? The perception and processing of pain information happens in your brain. Without your brain you could not have the opportunity to experience pain. Phantom pain is an interesting example of how the brain works. People who have lost a leg, for example, will complain of toe pain on that side, even though they have no toes. How is that possible? All we can say: the area of the brain that represents the pain perception of the toes is activated. Why, we cannot state, at least not in this context. This leads to the subjective experience of pain, even though there are no pain fibers from the toes to the brain. All sensory information from the periphery, including pain, is channeled through the Thalamus to the cortex. The Thalamus is the main relay for all incoming sensory information. Pain fibers are always "on"
Our brain has two functions with respect to pain perception. One area of the brain receives the incoming pain fibers from the periphery via the Thalamus in order to facilitate the experience of pain. Another area of the brain fires down to the Thalamus to inhibit and dampen that transmission of pain. Here is an important thing to remember: pain fibers, similar to other neurons, fire at all times. This is essential to their survival. If they did not fire, they would degenerate and eventually die. If it were not for the pain inhibition of the cortex, we would experience pain at all times. The problem arises when normal brain function declines in one or both brain hemispheres. The brain's capacity to inhibit pain perception would decline. This could lead to what we call intractable pain syndromes. The most difficult and frustrating cases for many of us in the health care field are those patients who present with these pain syndromes, with no history of trauma to explain them. These people simply hurt. Medication of varying strength has been used extensively, with less and less effectiveness. The biggest mistake we all tend to make is to look only at the area of pain. There has to be an explanation for this person's suffering right there. When we cannot find a physical reason, we either give up, or we declare that it must be "psychological", that "it is all in your head". We give it fancy names such as "psychosomatic", etc. Most of these names only cover up our helplessness and ignorance as to the true cause of their suffering. Actually, it may well be all "in their head". 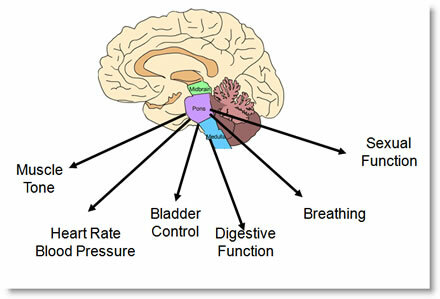 Besides looking at the area of pain, it is of vital importance to also investigate brain function. Once we understand that normal brain function is designed to inhibit pain perception, we must look for a way to evaluate the person's brain state. A neurological examination by a skilled chiropractic neurologist will easily reveal brain hemisphericity, the relative under-functioning of one brain hemisphere compared with the other. Once we have determined that there is no pathology in the area of pain, or anywhere else for that matter, we then have to decide how to best increase the function of the under stimulated brain hemisphere. The strongest sensory feedback from the periphery to the brain is via large diameter myelinated nerve fibers (Ia fibers), especially those from joint mechanoreceptors and muscle spindles. Brain hemisphere specific chiropractic adjustments on the side of the body opposite to the brain hemisphericity are exquisite ways to activate the brain function where it is needed. The brain can also be stimulated with light, sound, smell, taste, movement, etc. For a successful outcome it is vital that all therapies are brain based. Their application must have a sound neurological basis. If you stimulate the "wrong" side, you may end up making the brain hemisphericity worse. This may lead to increased pain perception. This is especially important as you are getting older. Find out "Why You Need More Oxygen As You Get Older"
Sugar at high levels is toxic to nerve cells. Diabetes is the primary example what happens to the nervous system when blood sugar levels are too high. The nerves actually die. You end up with diabetic neuropathies. Amputation of limbs may follow. Reactive hypoglycemia - low blood sugar - is equally dangerous. Many people on high carbohydrate diets suffer from dramatic blood sugar swings. The brain and the peripheral nervous system require an even and constant supply of glucose. When blood sugar levels drop too low, too fast, neurons are unable to function properly. They get stressed and may actually die. 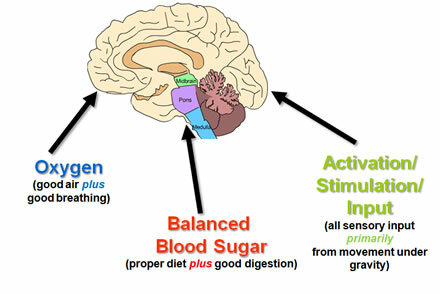 In order to improve brain and nervous system function it is thus vital to reduce carbohydrate intake, especially sugar. We have forgotten that fat is not what makes us fat. For years, we have been told to eat low protein and low fat diets. We are so concerned with our weight! We failed to realize that it is the carbohydrates that make us fat. So we drink soda pop laden with sugar, eat pasta and bread, cookies and cakes. And we wonder why we keep expanding. Nobody reminded us that a big part of our brain is fat, that fat surrounds the nerves of the spinal cord and the periphery. Fat is the protective sheath, the insulation. Fat is essential. Without proper amount of fat, our nervous system is subject to malfunction, injury and damage. With our low fat craze we have done plenty of damage to our nervous systems over the years. With our low fat craze we are damaging the nervous systems of our children. Proteins are the building blocks for living matter. Proteins consist of amino acids. Essential amino acids must be eaten; they have to be derived from food sources. They cannot be made in the body or by the body. Proteins are vital for the electrical properties of the neurons. Proteins are vital for all cells. A lack of protein leads to inadequate neurological functioning. The "best" diet is useless if you cannot digest what you eat and absorb what you digest. Inadequate digestive functions leads to malnutrition. Ultimately your brain cannot function properly. 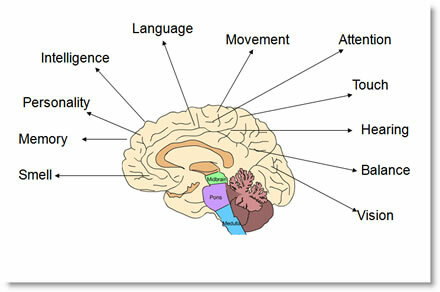 Your brain governs ALL human functions. Consequently ALL aspects of your life can be negatively affected. In order to improve brain and nervous system function, adequate digestion and dietary modifications are of utmost importance. A reduction of carbohydrate intake, adequate consumption of essential fatty acids and protein combined with a healthy digestive tract will create the biochemical basis for optimal brain function. We sit, many of us for long hours at a time. Increased sedentary lifestyle, long TV viewing hours, and endless computer sessions at home and at work, long automobile commuting hours,.... all this has impacted our brain health. The dramatic upswing in ADD/ADHD, autism, learning disabilities and behavioral problems over the past 20 years can be directly linked to the appearance of TV and VCR. Many kids don't move anymore. Obesity and the consumption of junk foods among American children are escalating. The same holds true for our adult population. Adequate upright movement under gravity, such as play and sports, is probably the largest contributor to proper brain development in our children. Adequate upright movement under gravity, such as ordinary every day physical activities throughout the day, is probably the largest contributor to brain/neurological and general health among our grown-up population. Find out Why Sitting Kills! "Sitting Kills - Moving Heals"
Your/their brains will be most grateful. You'll never sit the same again.